If you’re watching the budget, it’s no problem in Little Rock, Arkansas. The largest, and capital city of Arkansas, got its name from a small rock formation – la Petite Roche – that was once used as a landmark for traffic on the river. Today Little Rock offers a vast number of FREE activities that will keep you entertained for days and days. Learn about Civil Rights History with a visit to the circa 1927 Gothic-style Central High School, which received international attention during the Civil Rights Movement, and stop in at the museum in the restored service station across the street. The interactive exhibit “All the World is Watching Us” tells the story of the nine black students who made civil rights history when they entered Central High in September 1957. Location: 2125 Daisy L. Gaston Bates Dr. Hours: 9 a.m. – 4:30 p.m. Monday through Saturday and 1-4:30 p.m. Sunday. Enter a War Zone at the MacArthur Museum of Arkansas Military History which highlights the state’s military heritage from Territorial days to the present. Located in the Tower Building of the old U.S. Arsenal, it was also the birthplace of General Douglas MacArthur. Location: 503 E. Ninth St., in MacArthur Park. Hours: 10 a.m. – 4 p.m. Tuesday through Saturday, 1-4 p.m. Sunday. Visit the landmark for which the city was named, La Petit Roche, located at the north end of Rock Street in the History Pavilion and the new La Petit Roche Plaza in Riverfront Park. This first outcropping of rock along the Arkansas River above its mouth was known to pioneers and early explorers traveling the river in the early 19th century as “La Petit Roche” to distinguish it from the big rock upstream. The little rock on the south bank marked the transition from level lands of the east to the rugged hills of the mountain ranges and offered a natural landing for those traveling by boat. And so the city got its name. Capitalize on your visit with a stop at the State Capitol. Designed in the Neoclassical style, and modeled after the U.S. Capitol, the building features Arkansas granite and six bronze doors and three chandeliers crafted by Tiffany’s of New York. Free guided tours and audio tours available. Location: One Capitol Mall, Capitol Avenue and Woodlane. Hours: Monday – Friday, 7 a.m. – 5 p.m., and weekends and holidays, 10 a.m. – 3 p.m.
Stop off at the Old State House, the state’s first capitol and the oldest standing state capitol building west of the Mississippi River. Today is houses a museum of Arkansas history. Bill Clinton announced his campaign for presidency and celebrated his victory, both in 1992 and in 1996, on election night in front of the building, and his saxophone is on display here. Location: 300 W. Markham St. Hours: 9 a.m.-5 p.m. Monday-Saturday and 1-5 p.m. Sunday. Get Political. Discover the people and places that helped shape the state in an Arkansas Political History walking tour. 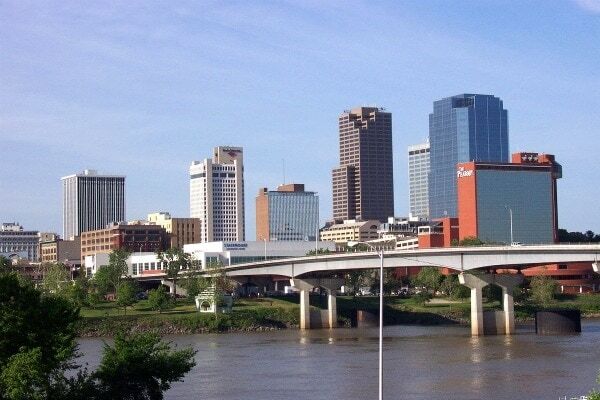 The tours hits 23 locations throughout historic downtown Little Rock. Download the free audio tour. Step back in time at the Mosaic Templars of America. Established in 1883 as a fraternal organization, the Mosaic Templars of America provided insurance and other services to black businesses during the era of segregation. By 1900, Mosaic Templars industries grew to include an insurance company, a building and loan association, a publishing company, a business college, a nursing school and a hospital. The original headquarters building was destroyed in a fire in March 2005, and was rebuilt to preserve the history. Enjoy the Art of it all at the recently expanded Arkansas Arts Center in MacArthur Park. The museum includes a world-renowned art collection. Location: 9th & Commerce Streets, near the River Market District. Hours: 10 a.m. to 5 p.m. Tuesday through Saturday; 11 a.m. to 5 p.m. on Sunday. Snap a Shot with the Sugarbakers! 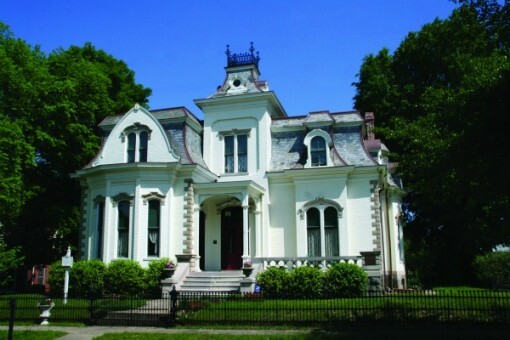 Considered a local Little Rock landmark, the circa 1881 Villa Marre, a Second Empire/Italianate home gained fame when, in the 1980s, home’s exterior to depict the Sugarbaker design firm on the CBS television series “Designing Women.” Formerly a house museum, the Villa Marre, is now a private residence and no longer open for tours, but you can take of photo of its famous exterior. Location: 1321 S. Scott Street. View the Victorians and the city’s early history in the nine-square-mile area known as the Quapaw Quarter. The area includes MacArthur Park Historic District featuring the city’s oldest homes (some from before the Civil War) and the Governor’s Mansion Historic District with homes dating from about 1880 to 1920. All of the district’s restored buildings serve as private homes or businesses. 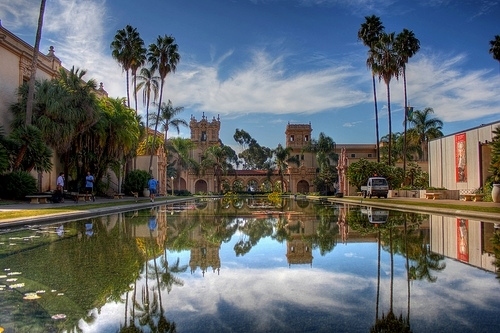 Although they are not open to the public, they can be enjoyed from the street or sidewalk via driving or walking tours. Pick up the walking tour brochures available at any visitor information center. Step back in time in the lobby of the historic 1876 Capital Hotel and you’ll travel back more than a century. The marble columns and breathtaking skylight alone are worth the stop. Location: 111 West Markham. Find Inspiration in the Shadow of a Bridge. Stroll through Riverfront Park and let your mind and soul become enriched by the many works of art place along the path to the Clinton Presidential Center and Park. “Art Along the Riverfront” was inspired by the themes of President Clinton’s acceptance speech at the 1996 Democratic Convention. These sculptures illustrate common values and the wonderful quality of life to be found in Arkansas. The H.U. Lee International Gate and Garden is an oasis of Korean culture in the heart of downtown Little Rock. The gate and garden are not only tributes the founder of the American Taekwondo Association, but also educates people about South Korea and martial arts. Feed the Ducks in MacArthur Park, adjacent to the Arkansas Arts Center. Bring a loaf of bread and head to the lake to feed the ducks, or bring a picnic lunch for yourself. Location: 9th and Commerce Streets. Stroll the warehouse district, once nearly abandoned but now undergoing a revival. Located along President Clinton Avenue, this stretch of Little Rock’s downtown has come back to life as the River Market District. The area is filled with restaurants, museums, and retail shops as well as the Little Rock River Market, featuring an array of owner-operated shops and stalls and a seasonal farmers’ market in the warmer months. Climb a Mountain! Nothing’s more satisfying than taking on a mountain and reaching the top. Pinnacle Mountain State Park, just west of Little Rock, offers a great challenge for adventurous outdoors types. Location: 11901 Pinnacle Valley Road. Just Mill around at The Old Mill, the same one, with its turning water wheel, that appears during the opening credits of “Gone with the Wind.” The reproduction of an 1800s water-powered grist mill is situated on a 3-acre site officially known as the T.R. Pugh Memorial Park and Pugh’s Mill. But mostly it’s referred to as the Old Mill. The mill, with a water wheel constructed of concrete but treated to look like wood, is surrounded by a road resembling an old wagon road and a rustic footbridge made of black locust tree limbs. Bring a picnic lunch a spend the afternoon. Location: Lakeshore Drive & Fairway Avenue in North Little Rock. Hours: Dawn to dusk. Go green at the park. No matter where you are in Little Rock you’re only minutes from the wide open spaces of a city park. The city is nestled among a profusion of green open spaces and natural areas set aside for recreational, educational, ecological and aesthetic benefits of the city’s residents and visitors. Little Rock’s parks system is not only a source of pride for the city, but it’s also been recognized for excellence nationally. That a Big Dam Bridge! Cross over the longest pedestrian and bicycle bridge in the world – the Big Dam Bridge. The 4,226-foot bridge, elevated up to 90 feet above the Arkansas River, links 25 miles of bike-hike trails in the cities of Little Rock and North Little Rock, as well as connecting two recreation areas –Murray Park and Cooks Landing. The bridge is part of the Arkansas River Trail, a pedestrian and bike trail reaching from downtown Little Rock to Pinnacle Mountain State Park on the southern shore, and from downtown North Little Rock to Cook’s Landing on the northern shore. 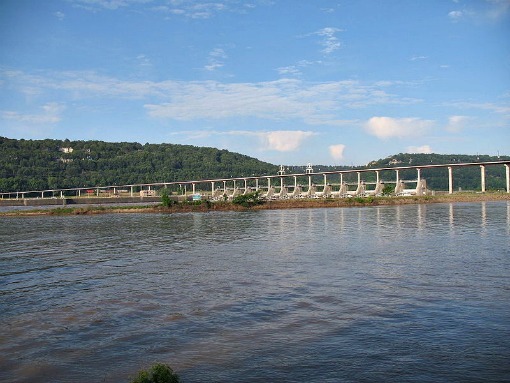 A fourteen-mile loop is created by the Big Dam Bridge and the new Junction Bridge. Bridging the Gap. The Junction Bridge, constructed in 1884 as the primary railroad bridge connecting the northern and southern railway lines, is now a pedestrian and bicycle bridge connecting Little Rock and North Little Rock. Whether you ride the elevators to the top or take the stairs, the views of the two cities and the Arkansas River are breathtaking. Watch the wildlife at Witt Stephens Jr. Central Arkansas Nature Center. The nature center is focused on the wide variety of outdoor recreational opportunities that Arkansas’s fish and wildlife resources provide. The location along the Arkansas River allows many watchable wildlife activities within an urban area. Basking water turtles, butterflies and migrating pelicans are common sights. The grounds of the center include beds of native plants found throughout the state. Catch an outdoor movie every Wednesday night in June and July. Sit along the banks of the Arkansas River in Riverfest Amphitheatre for Movies in the Park. Bring lawn chairs, blankets and picnic baskets and enjoy a free night of entertainment. Have some feathery fun at the Peabody Hotel as you watch the famous Peabody Ducks waddle the red carpet from their Duck Palace to the fountain in the lobby. The only shooting around allowed here is with your camera. Location: Three Statehouse Plaza. Hours: The red carpet parade is daily at 11 a.m., followed by fountain frolicking until 5 p.m., and then the ducks retire for the day. Book it at the new main library in the River Market. Or enjoy the special events – from puppet shows and used book sales to art exhibits. Location: The Central Library is at 100 Rock Street. Have a grave experience at Mount Holly Cemetery. Established in 1843, the cemetery features Victorian-era statuary ranging from angels and cherubs to a unique pair of two young girls (memorializing two sisters who died in childhood and are buried there). 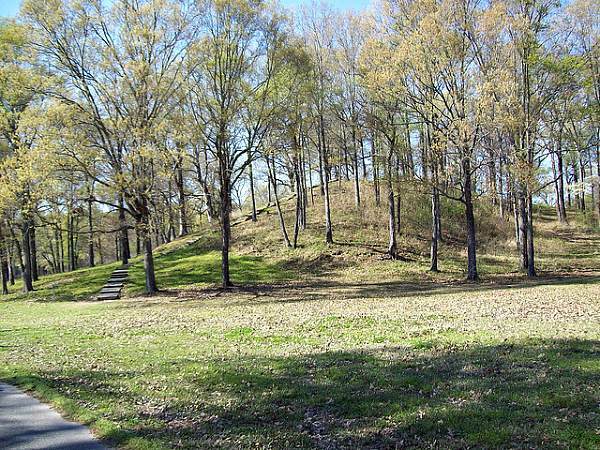 Those buried in Mount Holly include at least 10 Arkansas governors and three U.S. senators, five Confederate generals, 20 Little Rock mayors, composers, newspaper editors, a Pulitzer Prize-winning poet and Quatie Ross, wife of Cherokee Chief John Ross, who died while traveling on the Trail of Tears. Location: 12th & Broadway Streets. Learn how one person can make a difference at Heifer Village, an indoor interactive exhibit experience that offers creative, hopeful and effective solutions to some of our planet’s biggest challenges – ending hunger while caring for our environment. Heifer Village will spark commitment in all who experience it, furthering Heifer International’s mission to end hunger and poverty while caring for the Earth. 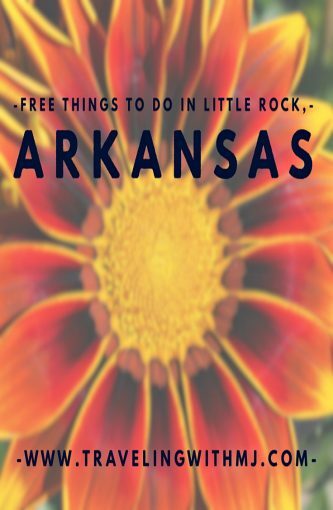 Save this list of free things to do in Little Rock, Arkansas, to your favorite Pinterest boards.